You deserve the aesthetic results you have been dreaming about. At Grossman | Capraro Plastic Surgery, we will help you decide if liposuction or another procedure can achieve your goals. If you have any questions or would like to schedule a consultation to discuss your options in Denver, please call our staff at 303-320-5566. The fat cells that are removed with liposuction are removed for good. 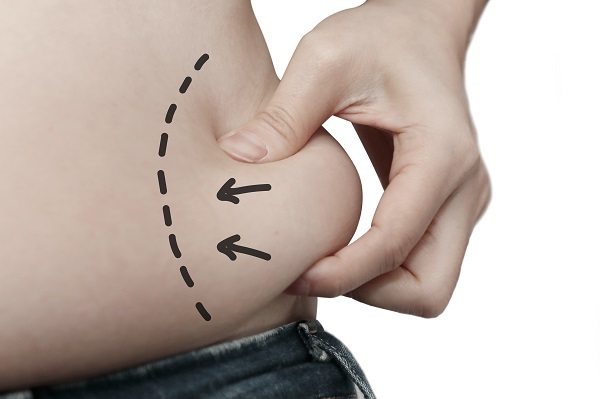 Liposuction effectively reduces the number of fat cells in a treatment area. Although it is still possible to gain weight and for remaining fat cells in the treatment area to expand, the removed cells will not return. It DOES remove stubborn fat that resists diet and exercise. Despite all the crunches you do and all the runs you go on, you may notice that certain areas of your body seem to hold on to fat while other areas slim down. Even if you are experiencing overall weight loss, you can't control which areas of your physique are shrinking. Liposuction provides the necessary advantage to reduce these areas of stubborn fat. It DOES work on multiple areas of the body. These are some of those areas that tend to store fat cells. Both men and women seek out liposuction, and our plastic surgeons tailor the contouring treatment to the masculine or feminine form. It DOES refine the results you've achieved with weight loss. Many people feel as though liposuction lets them fully reap the body shaping benefits of their diet and exercise results. It's a body sculpting procedure that defines the shape of your body in a way that crunches and squats may not be providing. It does NOT tighten loose skin. There are several other procedures targeted at lifting and removing excess skin. Many of them can be combined with liposuction, allowing you to reduce excess fat cells and tighten skin. The experienced plastic surgeons at Grossman | Capraro can help you determine the best treatment plan. It does NOT remove cellulite or stretch marks. Stretch marks may or may not be addressed with a tummy tuck or other procedures, depending on whether the marked skin is in the area that will be removed. Cellulite cannot be reduced with liposuction either. Our surgeons do provide cellulite treatment for this purpose. It does NOT prevent future weight gain. You can still gain new weight after liposuction. It may be in the treatment area or other areas of your body. Having said that, many people feel very motivated to maintain their weight after seeing the results of their liposuction. It tends to provide a lasting result for most people. It does NOT serve as a form of meaningful weight loss. This method of fat cell reduction is not a way to lose weight. Instead, it removes small amounts of fat to define the shape of the localized area. It won't affect BMI or significantly change your weight as measured in pounds. For the very best results, candidates should be at or near their ideal weight before liposuction. To learn more about liposuction, and to discuss whether it may be right for you with one of our board-certified plastic surgeons in Denver, please call Grossman | Capraro Plastic Surgery at 303-320-5566.